For our friends who read Delicious Living magazine – I moved this post up to the top to make it easier for you to find. 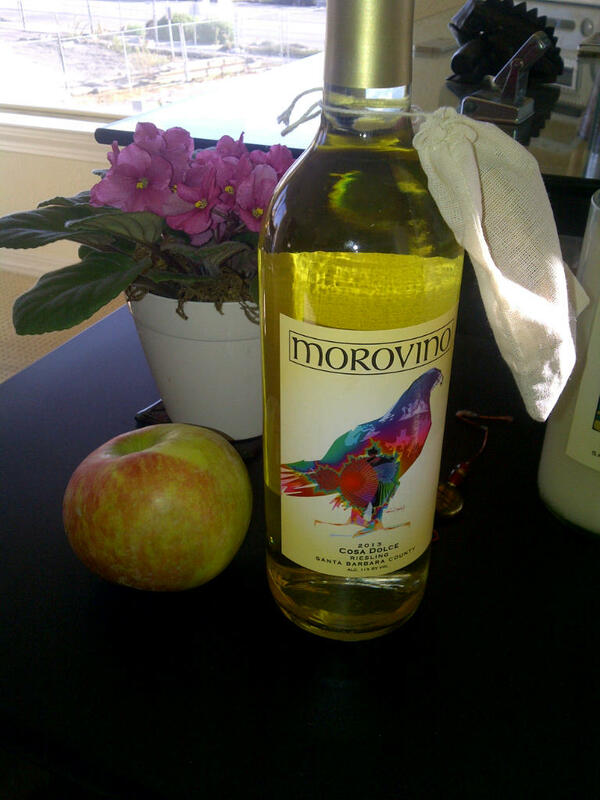 Hope you enjoy this Morovino Family Favorite! I LOVE this great recipe for slow cooker rice pudding! The only trick to this is at the 4 hour mark you do have to keep an eye on it – it comes together very quickly at the end. Enjoy! 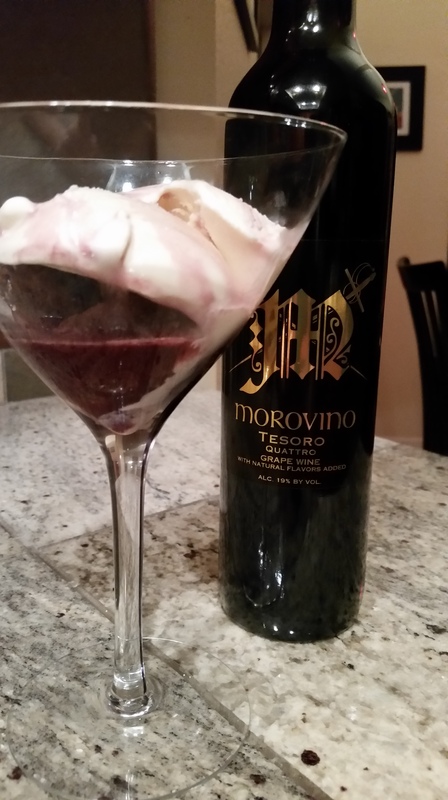 Serve with your favorite light dessert wine like Cosa Dolce, a sweet Riesling or a late harvest . . . something or other. Slow cooker. 2. Comfort food. 3. Super Easy! In a 4.5 to 6 quart slow cooker, combine the water, rice, cream of coconut and evaporated milk and stir to blend. Cover slow cooker and cook for 4.5 hours on low. Add raisins in last ½ hour. Start checking this at about 3.5 to 4 hours – slow cookers do vary. When the mixture in the slow cooker reaches a rice-puddingy (puddingie?) consistency, remove bowl from slow cooker. While pudding stands (10 minutes) toast coconut flakes – either in a small nonstick skillet or on a rimmed baking sheet in the oven at 350 degrees for 10 minutes. To serve, transfer pudding to individual serving bowls and top with toasted coconut. Extra credit points: top each bowl of rice pudding with a spoonful of crushed pineapple before topping with coconut. Mmmmm. I started making this for the tasting room around Halloween (when it was 85 degrees out) and it was a huge hit. 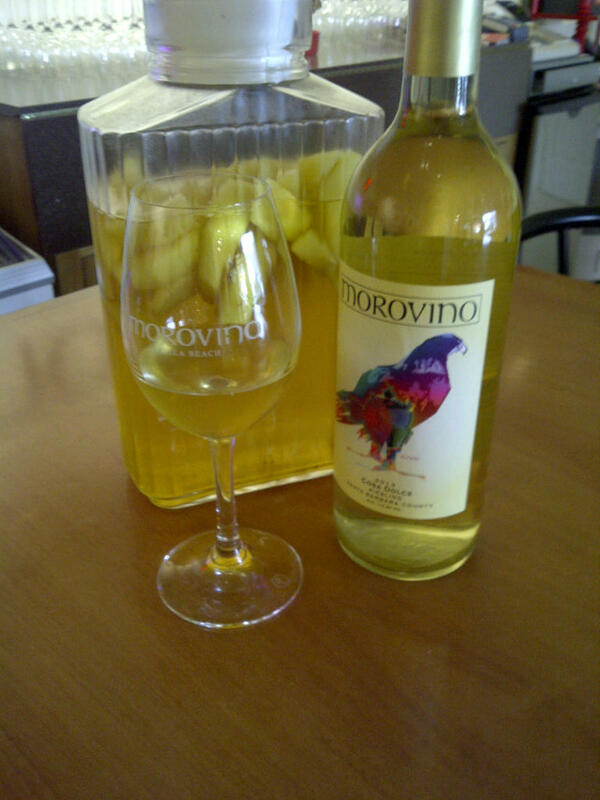 So I’m bringing it back to the tasting room for Superbowl – cuz who doesn’t love a good sangria. It’s super easy to make your own – just 4 ingredients and a pitcher – we even put Cosa Dolce on sale to make it easier/cheaper for you. Dump the bottle of wine in a pitcher big enough to hold it. Add the slices of apple. Add the cinnamon and the tea bag. Put everything in the fridge overnight and let it infuse. Take the tea bag out. You can leave the cinnamon and apple slices in – cuz the apple slices are delicious and the cinnamon is pretty. Pour into wine glasses and enjoy! * Best to make 2 bottles cuz this goes pretty quickly. Cosa Dolce is currently 2 bottles for $35 (through Superbowl Weekend). You are currently browsing the archives for the Beverages and Desserts category.